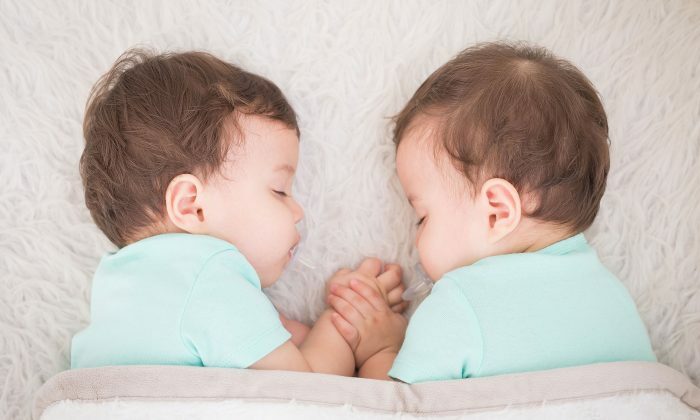 It may seem surprising that parents Julie and Dan McConnel are so comfortable sharing pictures of their twin boys, Milo and Charlie, on social media. The boys are photographed and filmed doing all sorts of daily activities, just like toddlers across the world. But this pair, who have become a viral sensation, have gained a large chunk of their attention because they both have Down syndrome. Down syndrome is a genetic condition that results in physical and cognitive complications and delays, leaving parents of children with the disorder challenged to navigate the already-difficult world of child rearing. Many children with Down syndrome have trouble learning, and can suffer from everything from poor eyesight to congenital heart disease. As the McConnels have made it a point to share, though, individuals with Down syndrome are full of smiles, hugs, and love—so while there are plenty of challenges involved with raising an adaptive-needs kid, there are even more gifts and treasures to be found in the journey as well. Because of that, the parents want to help erase the stigma surrounding the condition—and they’re using a smiles-filled social media presence to do it. The world has started to become far more understanding of Down syndrome in recent years, but the challenges still leave thousands with a lingering fear when they learn that their child may have some significant hurdles to overcome. Even in a society growing more tolerant and inclusive every day, individuals with Down syndrome have found themselves forced to plead their case with regards to working jobs, getting married, and even potentially having kids, (not to mention even darker chapters in certain countries and locales). For the McConnel family, the goal is to provide a community for parents who don’t know as much about Down syndrome, helping them understand the diagnosis and realize just how much love and joy it can provide. As mom Julie explained, the support system she found on social media when the family received their own double diagnosis inspired her to provide the same for other parents. She wants to show that even with an adaptive-needs child, raising them can be just as exciting and loving as any other kid. The pair are exceptionally rare; as fraternal twins with Down syndrome, Charlie and Milo are believed to be a 1-in-14 million case. But even with an entirely unique set of needs compared to other parents, the McConnels are thrilled when they’re able to provide wisdom and comfort to other parents who are now in the boat they were in four years ago.